Click photo to download. 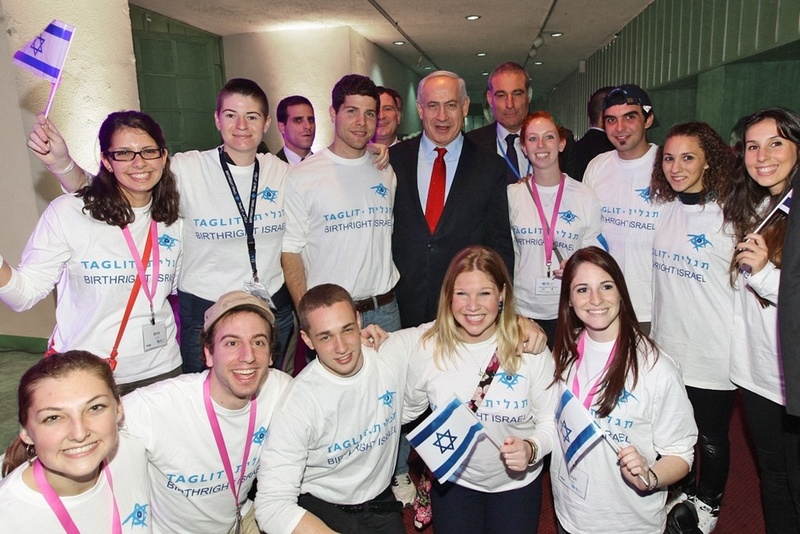 Caption: Taglit-Birthright Israel trip participants with Prime Minister Benjamin Netanyahu. Credit: Taglit-Birthright Israel. Shira Kaiserman remembers her 2010 Taglit-Birthright Israel trip like it was yesterday. While the New Yorker’s group was visiting Mount Herzl, the guide began to tell them the story of Hannah Senesh, an Israeli national heroine who was caught and killed by the Nazis after parachuting into Europe to help rescue Holocaust refugees in 1944. “As a woman you don’t really hear about a lot of modern-day Jewish women who made such a strong contribution to the Jewish people,” Kaiserman told JNS.org. She was so affected by the Birthright experience that she left a career in advertising for Jewish non-profit work, now serving as the director of program marketing and social media at the Jewish Community Center in Manhattan. Click photo to download. Caption: A Taglit-Birthright Israel trip through Hillel: The Foundation for Jewish Campus Life. Credit: Photo courtesy of Hillel: The Foundation for Jewish Campus Life. Kaiserman, 28, belongs to a new generation—maybe even a new category—of young Jews who have come out of the Birthright program, which in January marked its “bar mitzvah” anniversary. Some members of this Birthright generation have gone on to make different, and meaningful, choices across different areas of life. Perhaps no one has seen the trip’s impact more tangibly than Susannah Sagan, the associate director of Ohio State University’s (OSU) campus Hillel. At OSU, many Birthright participants return to campus and begin taking Jewish studies courses, getting involved with the university’s pro-Israel group, Buckeyes for Israel, or with the American Israel Public Affairs Committee. Some of these students “come back and start living in the [Hillel] building,” Sagan told JNS.org. In the 13 years since philanthropists Charles Bronfman and Michael Steinhardt joined forces with the Israeli government, the Jewish Agency for Israel, global Jewish communities, and other philanthropists to fund Taglit-Birthright Israel, the program has taken about 350,000 young Jews on free 10-day trips to Israel. A series of studies by Brandeis University’s Cohen Center for Modern Jewish Studies has surveyed program alumni regarding the impact of Birthright on their lives and looked at those who applied to the program, but didn’t participate, as a control group. Most recently updated in 2012, the studies show that Birthright often creates a new community for participants. “The evidence is clear that Taglit inspires a stronger sense of Jewish identity,” said Brandeis University professor Leonard Saxe, a chief author of the research. While the surveys didn’t ask directly about leadership, it’s clear that Birthright “produces a desire to be part of the Jewish community,” Saxe added. The research shows that former Taglit participants are 42 percent are more likely to feel “very much” connected to Israel compared to people who didn’t go on the trip. More survey respondents who participated in the program are likely to belong to a religious congregation than those who did not. Birthright participants are also slightly more likely than nonparticipants to make charitable contributions to Jewish or Israeli causes. “My speculation is that in this era of electronically mediated social interaction, the need for actual connection is intensified,” Saxe said. This holds true for the Manhattan JCC’s Kaiserman, who said that before going on Birthright she initially “didn’t really do anything Jewish-related at all” after college, even though she had attended Jewish day school all her life. Click photo to download. 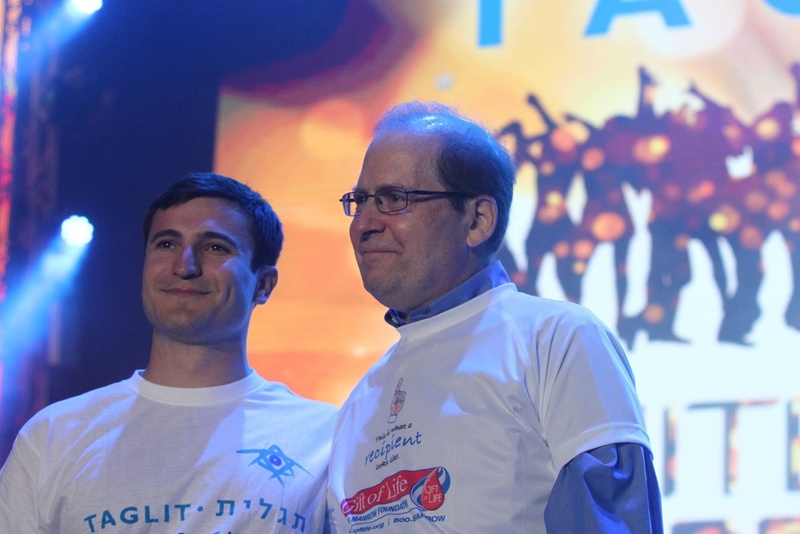 Birthright alum Matthew Putterman (left) with Michael, to whom he made a bone marrow donation. Credit: Taglit-Birthright Israel. While on the trip, Putterman was introduced to the Gift of Life organ donor program. Spurred partly by his own sister’s diagnosis of Hodgkin’s Lymphoma, he eventually made his own bone marrow donation to a man suffering from blood cancer. 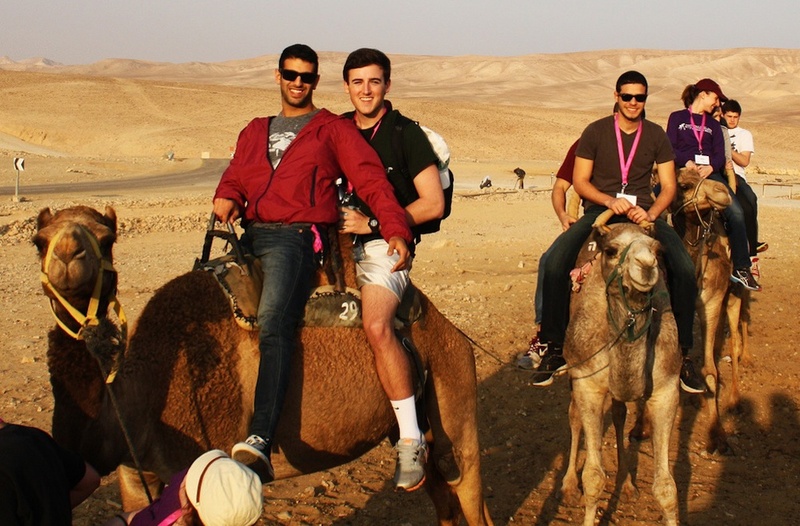 “The sense of global Jewish community developed during Birthright definitely helped to substantiate my initial feelings of wanting to help if at all possible,” Putterman told JNS.org. One of the seminal aspects of the Birthright experience continues to be the Mifgash (“encounter” in Hebrew). “Each group is joined by eight Israelis, and … usually seven out of eight are Israeli soldiers. They come dressed as soldiers only for the first two hours, but then they dress like civilians, and you cannot distinguish who is the American, who is the Israeli,” Gidi Mark, CEO of Taglit-Birthright Israel, told JNS.org. According to the Birthright website, more than 55,000 Israelis have participated in the program since its inception, 87 percent of them Israeli soldiers. One of the Israeli soldiers who accompanied his trip visited Putterman in Houston. “Asaf and his friend (also Israeli, traveling with him) were a big hit at our family’s Thanksgiving Dinner,” Putterman said. “Without Birthright, Asaf might never have experienced a full American Thanksgiving, and I likely wouldn’t have returned to Israel after graduating from college,” he said. The Brandeis study showed that former Birthright participants are 22 percent more likely to indicate that they are at least “somewhat confident” in discussing the current situation in Israel in comparison to those who didn’t go on the trip. After the experience, participants tell people, “You cannot say anything about the so-called bad Israeli soldiers, because we’ve been with many of them during our trip to Israel,” Mark said. Program participants are also 45 percent more likely to marry someone Jewish than those who didn’t go on the trip. “It’s very important to me to marry a Jewish partner and to have Jewish life,” Kaiserman said. Putterman is now dating a girl he met on his Birthright trip. “It is definitely comforting to know that… the tough decision that inter-religious couples have to make on which faith to raise their children is not something that I will need to worry about,” he said. But not all participants fall in line with survey findings. Dan Eisenberg, an assistant professor in anthropology at the University of Washington who went on Birthright in 2004, fondly remembers “hiking through beautiful landscapes and nice times,” and still remains friends with one of the Israeli soldiers on his trip. Eisenberg, however, still doesn’t consider it very important to marry a Jewish partner. Yet interest in Birthright continues to rise. According to Jeffrey Solomon, president of Andrea and Charles Bronfman Philanthropies, one of the philanthropic organizations involved with Birthright since its founding, last year about 34,000 students went on the program and about 42,000 will go this year, an approximately 25-percent increase. “It is without question the best philanthropic investment we ever made. It’s been a success beyond our dreams,” he told JNS.org. This May, philanthropists Sheldon and Miriam Adelson donated another $40 million to the Birthright Israel Foundation, bringing their total contribution to the program to $180 million. “Exposing young Jews to Israel helps broaden their awareness and deepen their cultural identity,” Miriam Adelson said, according to Israel Hayom. Additionally, dozens of countries looking to connect Diasporas with their motherlands are taking notice of Birthright. “I’ve just been to a conference in Dublin where everybody was talking about Birthright-Israel as a pioneer in this. We were approached already by countries like Bulgaria... and we are happy to help those who approach us,” Mark said. The true impact of Birthright on young Jews around the world, in terms of fostering leadership, may not be obvious for years. “Although only a small percentage of Taglit alumni have already become Jewish leaders, among young adults taking leadership roles, those who have participated in Taglit are over-represented. Anecdotally, among the next generation of Jewish professionals, we’re seeing many who come out of a Taglit experience and some who attribute their desire to work in the Jewish community to Taglit,” Saxe said. Susannah Sagan’s son didn’t really enjoy his own Birthright experience, but when he returned to the U.S., he said, “I don’t know what it is but I think about Jerusalem every day.” Shortly after, he returned to Jerusalem for a 10-week career internship. “These are the people who are going to sit on federation boards... on all the Jewish agency boards.” Sagan said. Posted on August 26, 2013 by Alina D. Sharon/JNS.org and filed under Features, Israel, News, U.S..